What is there to be concerned about in Southern Arizona for my pet? Valley Fever or Coccidioidomycosis is an extremely common fungal disease to Arizona. Valley Fever is primarily in the Southwest and develops from a soil-dwelling fungal spore. Wind, construction sites, storms, etc. aerosolize the spores and they are in the air we breathe. Just living in Arizona exposes your pet (and you) to Valley Fever. Valley Fever is more frequently seen in dogs, but it is possible for cats to become infected as well. Generally, the symptoms will include coughing and/or lameness. However, Valley Fever has a multitude of other symptoms. If your pet is feeling off and has non-specific symptoms, your veterinarian may recommend a Valley Fever test. ​Can my pet get attacked by wildlife here? Javelina attacks are quite common among bigger dogs. If you come across a Javelina on a walk, move VERY slowly away. Make sure your dog does not bark or startle the Javelina. A Javelina that feel threatened will flatten its ears, growl, or charge. If you see young Javelina , be careful of other herd members in the area. If you encounter a Javelina , move slowly away from the creature. Keep your pets leashed at all times. Never corner a Javelina . Make sure it has an escape route, and it will flee on its own if frightened. There are quite a few medical and environmental issues that are unique to Southern Arizona that are unfamiliar or uncommon in other parts of the country or even the State of Arizona. 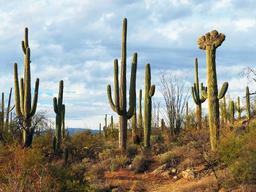 Some of the issues include Valley Fever, rattlesnakes, and cactus spines to name a few. ​What about Rattlesnakes in Tucson/Southern Arizona? Snakes, both venomous and non-venomous, are very abundant in deserts of Arizona. Arizona is home to over 10 species of venomous snakes, including rattlesnakes and coral snakes. Their coloring helps them blend into their environment. Most active in the cooler times during the summer months, they can be encountered in early mornings and evenings. They are most commonly found in washes, less populated areas, hidden enclosures, sheds, pool closets, under bushes, construction sites, woodpiles, and any other hidden spots they can find. 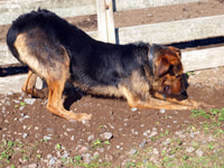 The best way to keep your pet from being bitten by a rattlesnake is to attend a snake aversion class. Contact us if you need more information on these classes. ​Is the heat in Tucson safe for my pet? ​​Heat is the number one most deadly concern in Arizona for pets (and people). With temperatures in the summer reaching 120 degrees F, it is extremely important that your pet be allowed access to water and shade or be indoors at all times. For instance, if it is 75 degrees outside, the inside of your car can reach 100 degrees in 10 minutes. If it is 100 degrees outside, the inside of your car can reach 140 degrees in the same 10 minutes. Never leave your pet in the car. If you suspect your pet has any form of heat stress or stroke, please call our office immediately. Symptoms may include: lethargy, excessive panting, seizures and death. ​With high temperatures in the summer, the sidewalks and streets absorb the heat, creating a hot and burning walking experience. The pads on your pet’s paws will be burned if they are exposed to hot pavements, rocks, sand or dirt for an extended period of time. Choose to walk your pet in cooler times of the day, such as early mornings, late evenings, or at night. If you have to walk during the day, please limit the time to 15 minutes or less. Purchasing booties can be an effective protective option for your pet’s paws.